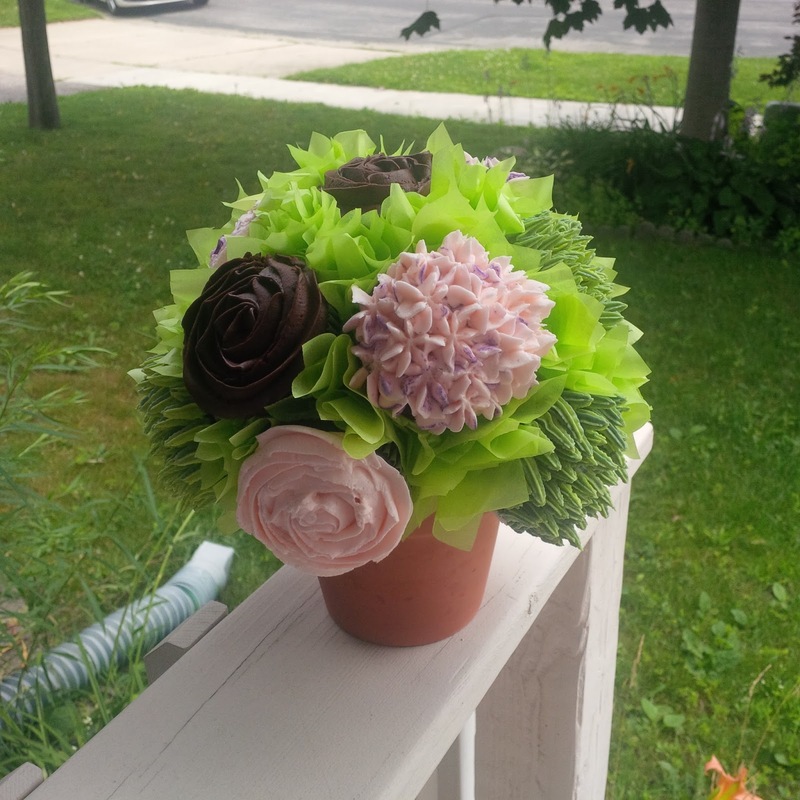 Cakes, Cuppies And Other Confections: A bouquet for my Mom! 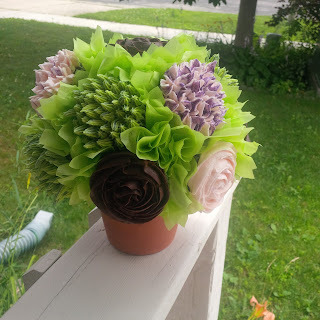 A bouquet for my Mom! It’s that time of year again to celebrate all of our wonderful Mothers and Mother figures in our lives! Last year for Mother’s Day, I made her this beautiful cupcake bouquet! When I first gave it to her, she didn’t even realize it was made out of cupcakes! 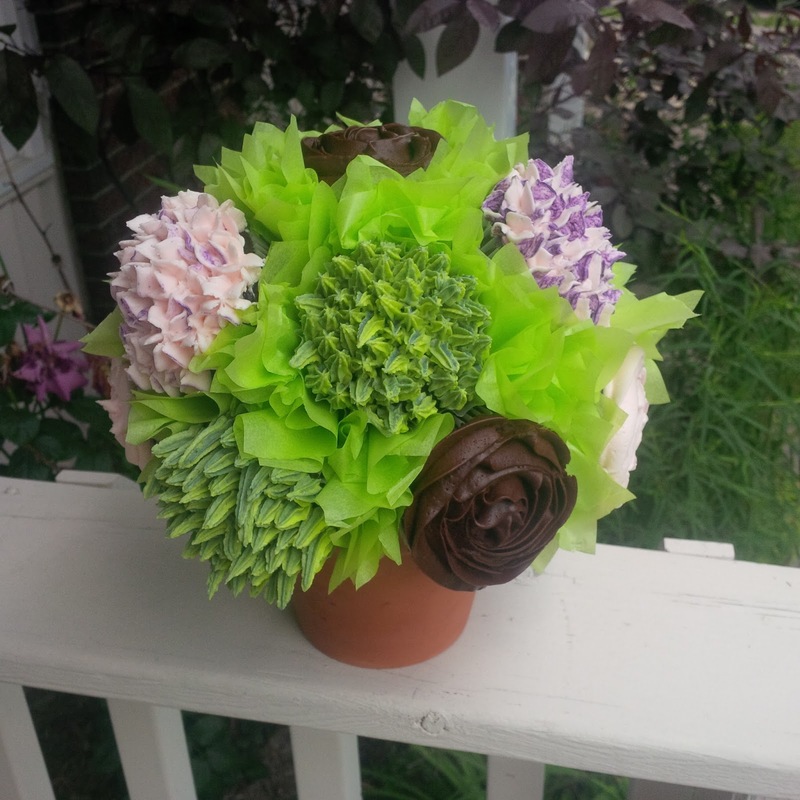 I think this makes a great gift for not only your Mother, but for a house warming, a birthday or even a celebration at the office. It looks great sitting on a table and is very easy to share!